Restorative dentistry is the management of oral health problems and restoring the mouth to a functional and esthetic state. Restorative dentistry is often referred to as prosthodontic dentistry. The goal is to preserve natural teeth as much as possible. 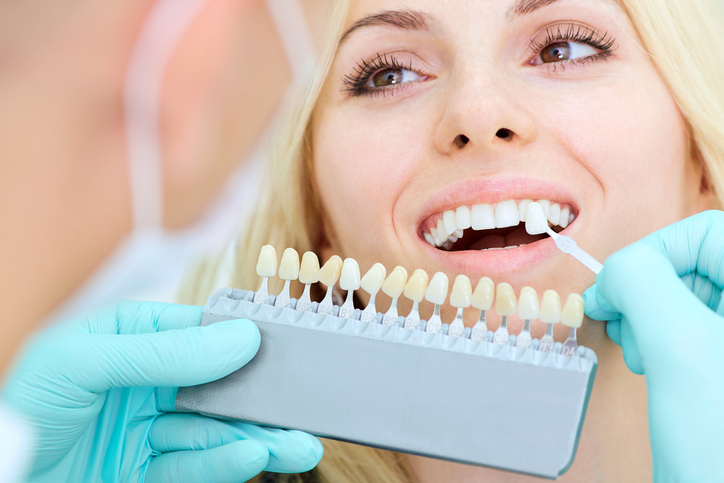 There are many treatments available that will fit with your dental restoration needs. In the past fillings were called amalgam restorations. They were made of silver combined with mercury. At Dynamic Smile Design, we use a strong, natural tooth colored composite to fill cavities and replace old fillings. Inlays and Onlays are used to repair damaged rear teeth that are not damaged enough to require a crown. They can cover larger areas of tooth than a filling can which results in a restored tooth and a correct bite. When a tooth’s chewing surface is damaged a porcelain crown can restore the functionality and look of the tooth. Porcelain Crowns are used for restoring front teeth, and are popular in this area for their ability to blend with your natural tooth color. The crown is made of a porcelain-based material. Sometimes in restorations of the teeth even porcelain isn’t the best choice. This is often the case with back molars on sensitive patients. A gold restoration in gentle of your teeth while still providing strength and durability. Dental bridges literally bridge the gap created by one or more missing teeth. A bridge is made up of two or more crowns for the teeth on either side of the gap and a false tooth/teeth in between. Dental bridges are supported by natural teeth or dental implants. If you are missing a single tooth or a few teeth in a row, a fixed bridge can be the solution you’re looking for. Dents are custom-made replacements for missing teeth and can be taken out and put back into your mouth. While dentures take some getting used to, today’s dentures are natural looking and more comfortable than ever. Partial and full dentures are available options. At Dynamic Smile Design, Dr. Elena Puig has worked tirelessly to become one of the best dentists in Orlando. She is known for being a renowned cosmetic and restorative dentist. Dr. Puig cares about each individual and strives to find the least invasive approach possible. We all want a happy, healthy and functional smile. Dr. Puig of Dynamic Smile Design can help you get there. Give our office a call today.